Specially formulated with stain prevention technology to help reduce tartar build up to help keep teeth clean and naturally white. 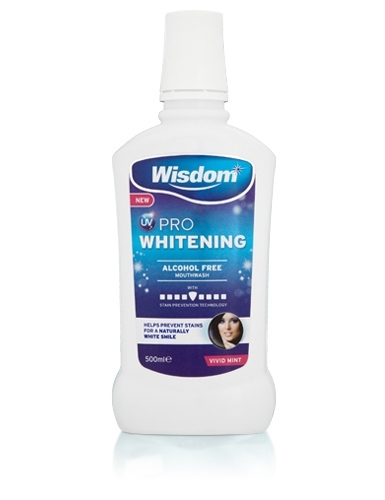 The mild alcohol free formulation helps protect teeth by strengthening and remineralising tooth enamel, whilst the antibacterial action helps fight plaque to prevent cavities and maintain gum health. Use with UV Pro Whitening brush and toothpaste for the ultimate naturally white smile.